Having first encountered Alexander work nearly twenty five years ago, I was fortunate that it was an integral part of my cello study. Lessons with Vivien Mackie and Rhuna Martin at “Gathering of the Clans” cello courses as a teenager had a strong influence. I experienced not only a greater physical ease in playing but also powerful moments where I felt enabled to reach an optimal state of performance, a flow or alpha state. I have found that working on awareness and attention through the Alexander Technique has helped me to access that more readily, to be more available to express the music. I studied Alexander work intensively with Bryan McKenna during my cello studies with Alexander Baillie in Bremen, Germany. I then trained as an Alexander teacher with Ilana Machover, at her full-time STAT school in Queens’ Park, London, qualifying in 2012. I recently completed a two-year Alexander Alliance International postgraduate programme with Bruce Fertman, focusing on teaching in groups and working in activities and situations. I have led group workshops in Lisbon, including for the Gulbenkian Orchestra, and in London including for Ealing and Redbridge Music Service training days. I am an assistant Alexander teacher at the Royal College of Music and a regular guest teacher at the Junior Department of the Royal Academy of Music. From 2012-15 I was an assistant teacher at Arts Ed drama school and now teach singers at Associated Studios, for large groups led by Penny O’ Connor. I offer individual lessons, small group teaching and also larger workshops, including as a certified teacher of a ten-week Foundation Course for Young Musicians. I particularly enjoy working with performing artists on their awareness and use during practise and performance, and the greater ease and expression that this can allow. P.S. 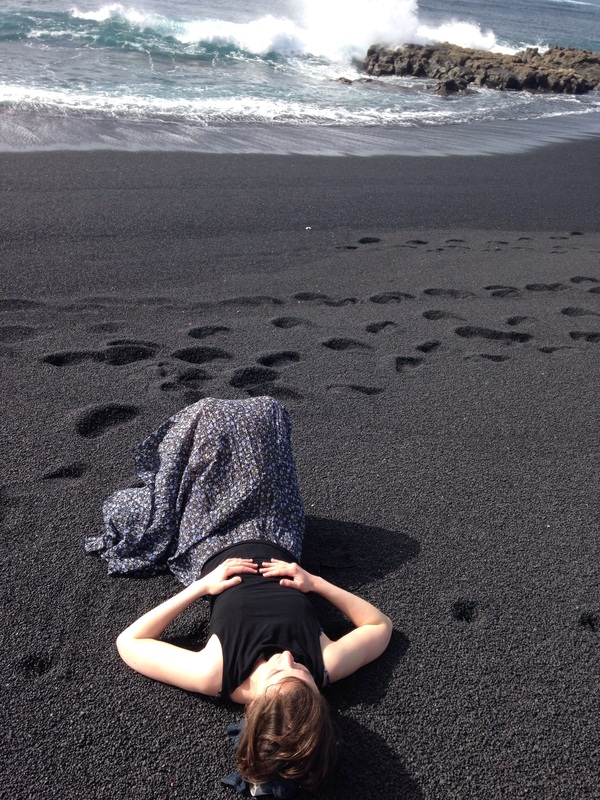 Where do you do exercises (photo) on the black sand? Is it Lanazarote? Or La Palma?